The initial results of the Labor party primaries on Monday night showed two young graduates of the 2011 social protest movement, MKs Itzik Shmuli and Stav Shaffir, winning the third and fourth slots in the electoral list after chairman Avi Gabbay and a candidate of his choosing. After them came former Labor chairpersons Shelly Yachimovich in third place and Amir Peretz, followed by Merav Michaeli, Omer Bar Lev, Revital Swid, newcomer Yair Fink, Michal Biran and Gavri Bargil, in that order. 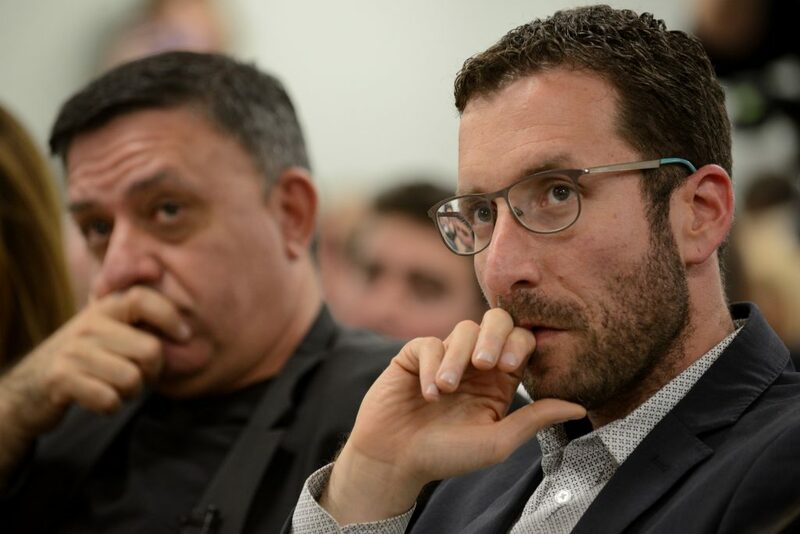 Eitan Cabel, a senior MK who was the most vocal and visible of those seeking to oust Gabbay, came in 15th, which would not give him a realistic chance of returning to the Knesset in the April 9 elections, since the latest polls give Labor only 4 or 5 seats, a dismal comedown from the 24 seats it has in the outgoing Knesset, and a humiliation for the once all-powerful ruling party.